5. 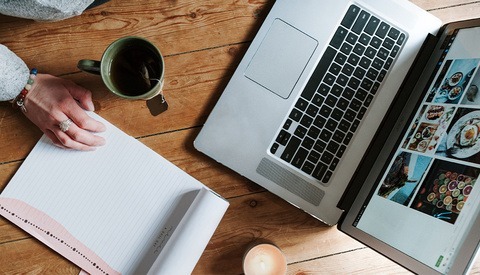 Deafening silence - I have NO IDEA why anyone would ever want to do this, but many have expressed their fondness for editing in a completely silent environment for hours at a time. Whatever, I don't judge. 4. Background noise - There are a few different ways to do this so I decided to make it one category. Music - I know it's obvious, but that's why I have to say it. Music is always a great way to pull yourself through boring/repetitive tasks, but I advise making a playlist pertaining to the mindset that you like to edit in, as a variety in genre could lead to inconsistencies in your editing/attention to detail. If your library isn't extensive, you can find many genre and artist based playlists (or make some yourself) on YouTube. Podcasts - Personally, I prefer listening to a discussion than music after a long period of time, so I'm a huge fan of podcasts. Many great personalities offer hours-long episodes of podcasts/talk shows multiple times per week, and I've never had an issue finding something good to listen to. These are mostly available on iTunes, YouTube, and in some cases via Satellite Radio. Allpodcasts.com seems to be a good way to search for one that caters to your interests. Movies/TV - If the others don't work for you, it's always fun to passively jump in and out of sitcom plot lines. 3. 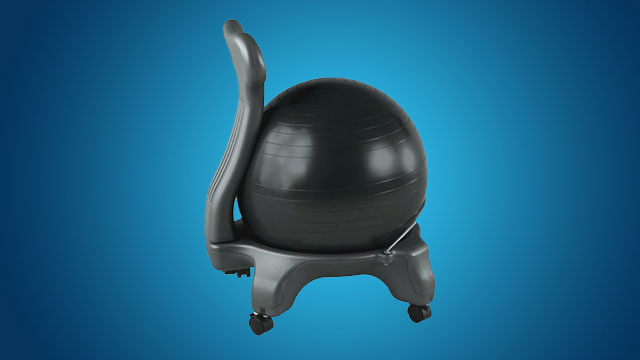 Replace your chair with an exercize ball - This does wonders for back pain and posture, I could go on for a while about all of the benefits, but why would I when Melanie Pinola's already done a great job of it on Lifehacker? 2. Edit in the morning/evening - Most seem to find it easiest to focus on one repetitive task when they're not full of energy. I like to edit in the evening, sleep on it, then review in the morning. If your routine isn't working for you this would be the first thing I'd change up, find what works for you. 1. Caffeine - I know it sounds like I'm contradicting the last point, but the alertness from caffeine/energy drinks is different than actual well-rested mid-day energy. When you're starting to get tired or your mind is wondering, coffee/tea/energy drinks can be a great way to re-focus. Say what you will about the health side of things, they work! 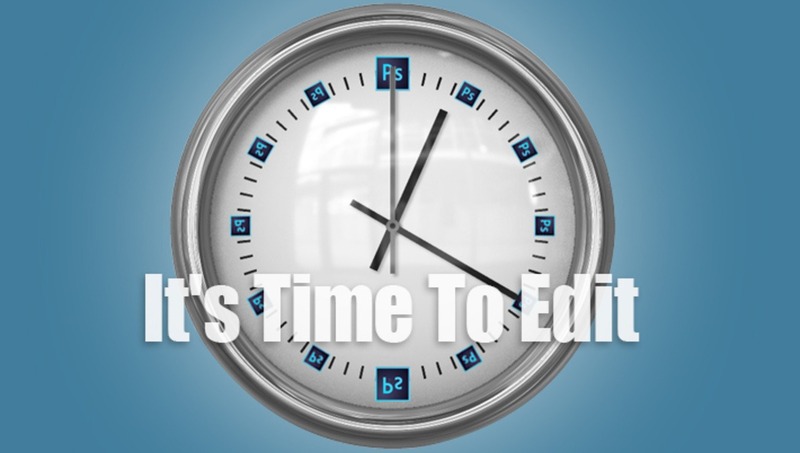 So what's your routine or tradition when it comes to editing? Let me know in the comments! Break it up. One hour on, one hour off, preferably outside!! I only have music on when I'm editing references/bibliographies because otherwise it interferes with my reading comprehension (I'm a singer). 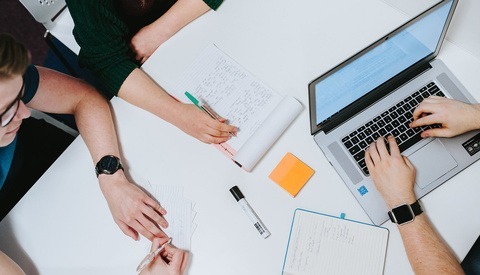 When I was working in an office, one of the big problems I saw was that staff (I was a manager then) had to work 1.5 hours, take a 15 minute break, work another 1.5 hours, take a lunch hour, etc. etc. No one can sit and concentration without moving for an hour and a half, repeat throughout the day. It not only was inhumane, it really decreased productivity, which is why IMHO a lot of this type of work is better done in a home setting if the person is *really* not doing any other type of work (meetings, etc.) during their work day. As someone self employed, I always rotate brain work with physical activity. I can concentrate much better if I never try to do it for more than an hour. Often, I will work six hours in a day, with the first one being from 9 to 10 am, and the last one being from 9 to 10 pm, with lots of other things in between. I feel better, I can concentrate better. It's a win-win situation. YouTube. But out-of-sight. I only listen to it. I make sure it's not TOO interesting, or it would be a distraction. Your mind wanders when it gets tired, not "wonders." Coffee, Podcasts, Morning, Evening. haha you nailed it. Good affirmation that Im not crazy though. The coffee is a must have in the evening and morning! i always work 50 minutes in a hour and use the last 10 minutes of the hour to take a break. To do all the little things i was thinking of doing while editing. Then once the 10 are up back to the next 50 minutes of work. Podcasts do the trick for me.. Music sometimes but it gets dragging sometimes.. I rack up the coffee with some smooth jazz in the background. I use a giant leather swivel chair if I'll be editing for more than 1 hour. And one major requirement I have is that it has to be completely pitch black in the room except for the light from the monitors. Caffeine isn't the best idea. It skews your perception of color. Chocolate makes you see everything warmer. As a copy-editor/proofreader, I have to have peace and quiet - tricky with kids around. One of the great benefits of being a freelancer is that I can work when they are at school, or are out, or in bed. Whenever I work, I take regular breaks from the computer to catch up on chores, make a call, or have a cup or tea; your eyes need a rest occasionally. I do music a good jam keeps me in the groove. I tried movies I get to distracted. I like to start my morning with the cup of coffee.. then I put on my beats and blast at least 5 obnoxious rap/dance songs into my head as if I were pumping myself up to play in the super bowl or something.. once the caffeine kicks in I begin dancing, singing into my Wacom pen as things are uploading or saving. Once I get tired of that I turn on some crappy Netflix/Hulu show to listen to.. I also take breaks to stretch and roll out my back on a foam roller (life savor). If someone would come up with a workout I could do at my desk while working, I'd totally be down! Number 6. 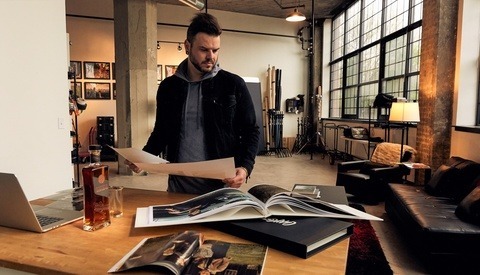 Close that fstoppers.com tab. My eyes get tired really fast, and I'm guilty for falling asleep sitting up. Have you ever heard of the 20/20/20 rule? (Every 20 minutes, look at something 20 feet away, for about 20 seconds, to give your eyes a break). I can be fussed with setting timers, so I do my most productive editing in front of the tv. When something interesting happens on the tv, I look up for a minute or two, then go back to editing. Best to pick a show/movie that it's mildly interesting, though. I've rented must-see movies with the best intentions of editing, then ended up so tangled in the plotline that I "wake up" two hours later, still sitting on the same image I started with. Old childhood movies are great. Or reruns of favorite tv shows that I've already watched.